I recently had the opportunity to join my collegues Dean and Matt at the “Recent Advances in Clinical Sports Medicine” Conference. This year the knee and hip were the focus. Of particular interest to me was the latest information in regards to the ACL deficient knee, as I see quite a few ACL injuries in the clinic. Typically the ACL is injured when the knee is forced into excessive rotation (for example in soccer when the foot is planted and the leg gets twisted, especially in a bent position). Unfortunately in these situations the ACL is usually not the only structure to sustain damage, and research shows that it is in fact the “collateral” damage (no pun intended!) that can play the biggest role in recovery. While isolated ACL injuries may not be as common, the recovery rate is mostly very successful. 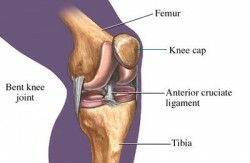 Fortunately ACL surgery, where the ligament is reconstructed and re-attached arthroscopically, is not the only option. If you are able/willing to modify your activity intensity, wear a brace or commit to a strengthening regime then going “under the knife” may not be necessary. Studies show that the chances of getting osteoarthritis in patients that have had the surgery versus patients that have elected not to have surgery are similar. However, the more damage sustained from the injury (ie: meniscus damage, other ligament tears or “bone bruises”) is what makes the knee more susceptible to osteoarthritis down the road. 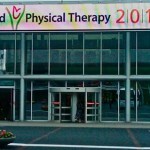 Whether or not you have twisted your knee out on the soccer pitch, or just walking the dog, having a physiotherapist assess the limb and your overall biomechanics can go along way in preventing a potentially chronic knee injury. Can ACL tears be prevented? 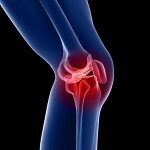 Does joint pain actually damage? This entry was posted in Knee and tagged ACL, anterior cruciate, injury, Knee, meniscus. Bookmark the permalink.